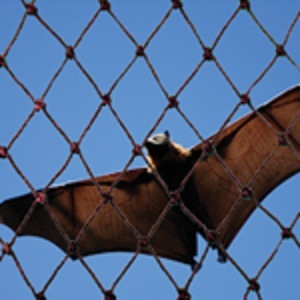 Bird-B-Gone Bat Netting blocks bats from entering unwanted areas. Made from FDA sanctioned resin. The bat net has U.V. protected polyethylene mesh with 3/8" openings. It is lightweight and virtually invisible.